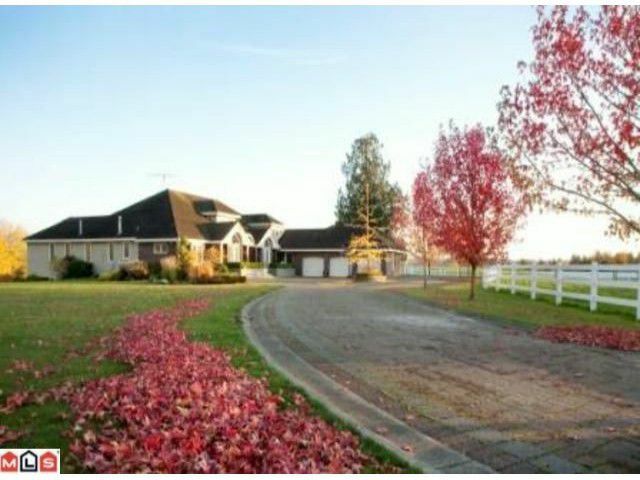 Stunning home, meticulously cared for and situated on 9 acres and set far back from the road. Outdoors features a beautiful long paving stone driveway, gazebo, ice arena and plenty of room for parking a boat and RV. The 60x120 barn has 13 stalls for horses, a hay loft & built-in feeding troughs. The 6500 sqft house features 5 large bedrooms and 5 baths with the Master bed and walk-in closet on the main floor. Features such as recessed lighting, pine wood windows and hand painted arched ceiling in foyer create a unique warmth. Spectacular views of surrounding hills and Mt.Baker give rise to a pastoral setting.